Imhotep is a board game about building the monuments and masterpieces of Ancient Egypt, and was nominated for the 2016 Spiel des Jahres. In each turn of Imhotep, players will either collect stone from their quarries or send the stone on boats in order to use it to construct one of five buildings on which they will score points. The color and order of stones in the boats is important, and mixing it up is the fact that any player can launch a boat on their turn, as well as the action cards that can drastically alter gameplay. 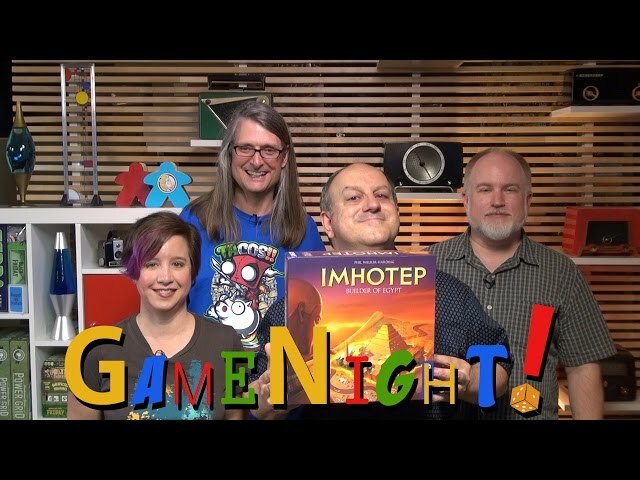 Buy Imhotep if you think you have the stones to back up your strategy and time, or simply want a tactile, three-dimensional board game experience.